Fintech is alive and well in the financial services industry. With so much innovation and digital transformation underway, it can be challenging to stay current with developments. This listing of global fintech influencers is offered as part of a solution to that problem. Yet, as the global fintech universe continues to expand and morph into more specialized areas – such as paytech, insurtech, lendtech, wealthtech, AI, crypto/blockchain – there are more areas of expertise, more online discussions and many more people engaging in those discussions. In other words, there are other influencers, in addition to the people listed below, that are worth tuning into if you have business interests in any of the above areas. A few quick words on methodology, a more detailed explanation of which you will find In the FAQs below the lists. These lists are based on data analysis using a commercially available third-party tool. I do not choose people to be on or off the lists (so please don’t lobby me to get on a list or be disappointed with me for excluding you). Rather, people appearing on the lists are ranked according to various scoring criteria. What’s new this year is that I’ve presented the top influencers ranked by three different criteria: Insider Score, Network Centrality and Emerging Score. As a bonus, I’ve also included 100 of the top organizations (non-individuals) that are fintech influencers. Finally, these people (and organizations) are all designated as influencers by virtue of their online activity on social networks. They are the most followed, shared and engaged people discussing fintech topics online. In short, if you want to move a message through the word-of-mouth, global fintech network, these are the people who do it best. 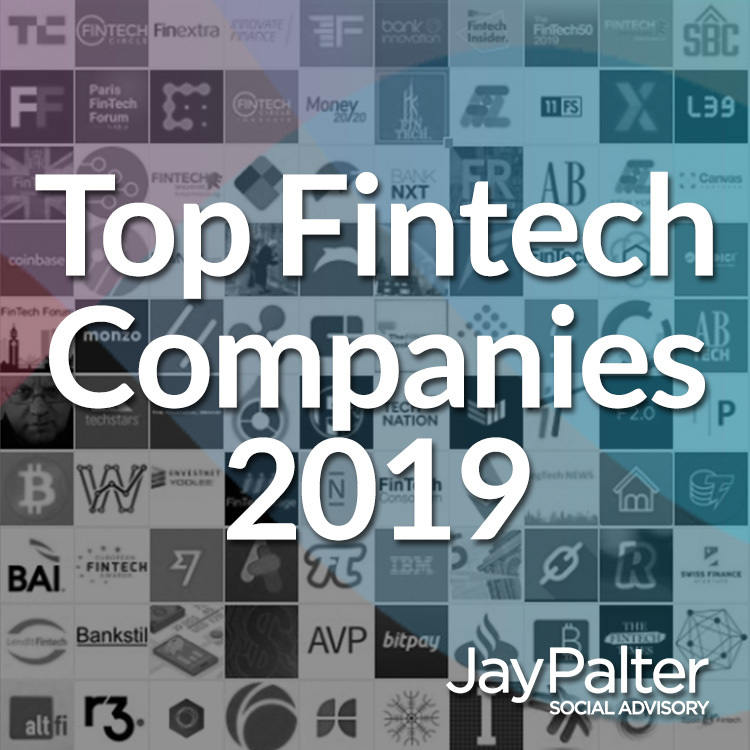 There are many, many other people who have expertise, insight and influence on fintech topics who are not as active online, therefore they will not appear on any of these lists. If you want to stay apprised of key developments in this exciting and rapidly changing technological space, these are some great people to start paying attention to! Insider Score is simply the number of other insiders in this network who are following an account (on Twitter). The higher the rank, the more of the over 3000 people and organizations analyzed that follow that person. Susanne Chishti | @SusanneChishti | LinkedIn | London based – Global Passion! Ranked by Insider Score (see above). FINTECH Circle | @FINTECHCircle | Website | London based, Global passion! A good influencer list is very valuable and can be very useful in a variety of ways. See: Influencer lists: the good, the bad and the ugly. The idea of the influencer list has come under attack over the past years and there are some reasons that might explain this. Influencer lists are no longer a novel concept. As more lists have appeared, there has been a decrease in their quality and many are published primarily as click bait. There are also more people referencing (and perhaps, in some cases, even overplaying) their ranking on influencer lists as a bona fide credential, while others question the legitimacy of the predominantly quantitative social networking criteria used for most of these lists. All of this has led to some legitimate public criticisms of influencer lists, and how they are perceived and used. Critics argue that influence is hard to measure and people tend to make too much of appearing and ranking on lists – with which I generally agree. However, it’s a mistake to dismiss influencer lists because they are still useful tools if understood and used properly. I have previously written a defence of influencer lists and argued for why we should not throw the baby out with the bathwater. Can you do influencer outreach and engagement without a list of influencers? No. If you want to systematically reach out to influencers, whether it’s to stay current on industry developments, promote your product or service, find a source for your media story or a speaker for your conference, you need a list to start from. And that’s a critical point: influencer lists are starting points. They are the product of one person’s perspective or one analytic criterion. By listening to and engaging with an initial list of influencers, you can define who is most influential for your purposes and discover other influencers not found on the list. What is influence and can it be measured quantitatively? It goes without saying (yet, I’m saying it) that influence is a far more complex and nuanced concept than something that can be reduced to social media follower counts and engagement statistics. Many real-world influencers are not online, or not as active online as others. And to a degree, in some cases a significant one, online visibility can be the result of “gaming the system” successfully. To this, I say: “so what?” Influence is a highly subjective concept, whether it’s online or offline. Consensus may emerge within communities around the influence of certain individuals, but such consensus is never universal and always subject to change. While influence has a qualitative aspect, it almost always has a quantitative aspect as well, because a “consensus” implies that there are a good number of people in a community whose agreement confers influence on a person. And this is a key point: Influence cannot be declared but must be conferred upon a person by others. People who have cultivated good reputations with large online audiences have leveraged the online system to the benefit of their online visibility. They have attracted relatively larger numbers of followers or followers who themselves have large audiences, who read their content and share it with others. Their influence and reach are indeed focused online, and in some cases limited to the online sphere, but it’s still a form of influence – and it’s an increasingly important one. Is ranking the most important aspect of an influencer list? No, absolutely not. When influencer lists get published, every person on the list wants to see where they are ranked. While this is a natural, human response, it would be a mistake to conclude that ranking is the most important aspect of any list. Ranking is highly subjective, taking into consideration a variety of quantitative measures that are weighted according to the author’s or analyst’s algorithm. Who’s really to say whether a person’s total number of Twitter followers is more or less important than who is following and paying attention to what that person says? Is it more valuable to have an audience of 50,000 Twitter users or to have an audience of 500 of the most influential of those Twitter users? Influencer lists are collections of thought leaders with specific knowledge, a geographic home base and a unique set of interests. Depending on your objectives, some influencers on this (or any) list will be more important to you than others. Plus, the value of any influencer list should be seen, not only in terms of the first-degree connections (who’s on the list) but the broader second-degree connections (who’s in the networks of the people on the list). Every person on this list is a node connecting you to their own network of connections and influencers. A good influencer list is only a starting point for discovery and engagement. How can influencer lists be helpful to you? Anyone can follow these people on Twitter to stay on top of developments in fintech. Journalists and reporters can find experts for articles and news stories. Business leaders in fintech startups can use this list to network with other industry leaders. Marketers and public relations professionals can find industry experts that might be interested in knowing about their clients’ products and services. Influencers note on this list themselves can increase their visibility, reach and influence by building relationships with people on this list. Why is influencer outreach and engagement such an important business strategy these days? Influencer outreach and engagement is, in my opinion, the antidote to declining organic reach in social networks. Of course, you can do more paid promotion and advertising as a way to attract attention online – that’s precisely what the social networks want you to do. But, as powerful as paid media can be at the right time and in the right place, it is far better at winning clicks and eyeballs than hearts and minds. And as soon as you stop paying, you stop getting the benefit. If you want engagement and influence, you need to work through the gatekeepers to your target audiences – the influencers. You need to earn their attention and respect. You need to build relationships and add value for them. That kind of influence has staying power. Hence, the growing importance of influencer outreach and engagement as a necessary component of B2B digital strategies in recent years. As in previous years, this list was developed using a commercially available social media analytics tool (Little Bird, now part of Sprinklr) which offers a powerful engine for crunching large volumes of social media data. The software compiles a list of online influencers that frequently communicate on topics related to “fintech” and then looks at the inter-relationships among these accounts. The software scores influencers in a variety of ways and three of those scores have been used to rank fintech influencers: Insider Score, Network Centrality, and Emerging Score. Hi, just went through your list and found some influencers from Frankfurt, which made me very happy, BUT “68. RegTech News | @RegTechNews | Website | NYC | London | Frankfurt” seems to be inactive since August 2018. Do you know why they are on the list? This was an oversight and has been corrected. Thanks. Dang! I guess I need to work harder to break into the Palter Top 150. The list is only a starting place. 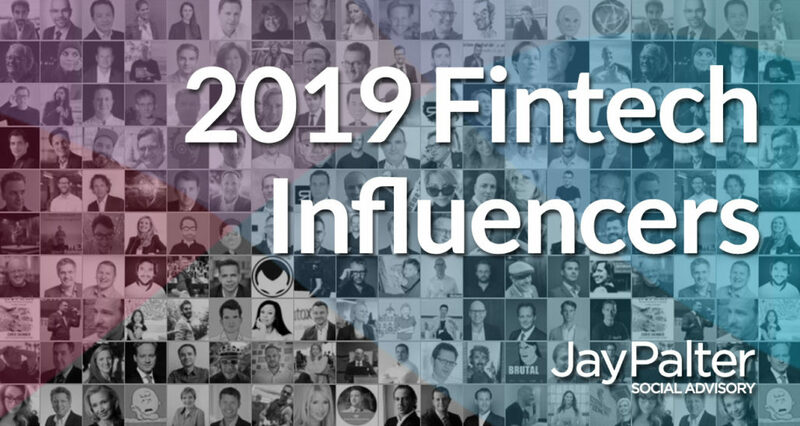 Anyone tuning into online discussions about fintech, particularly as it bears on the wealth management industry, would find your contributions to the online discussion and deem you a top influencer, no doubt, Craig. Thanks for reaching out.